Some of my “used car reminder” posts are little more than a thinly veiled attempt at talking about a car I find interesting. This one, on the other hand, is different. In this case, I’m reminding you about a used car that you a) may have forgotten, and b) shouldn’t have forgotten. 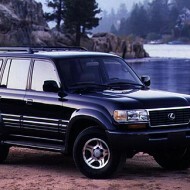 The car in question is the Lexus LX450, which was sold for only two model years: 1996 and 1997. The reason I’m reminding you about the LX450 is that the Lexus is completely identical to the Toyota Land Cruiser in virtually every way. In other words: when you go searching for a used 80-series Land Cruiser, don’t forget to check the listings for the LX450. Under the hood, the LX450 used the Land Cruiser’s 4.5-liter straight six, which made 215 horsepower and 275 pound-feet of torque. It’s no dragster, but then again, that’s probably not why you’re considering an LX450. Inside, the LX450 was pure Land Cruiser in every way, though Toyota says there’s more sound deadening. It was the same story outside, where the LX450 used styling that was every bit the same as Toyota’s, except with a little more body cladding. I’ve heard a few people say the LX450 was “softer” than the Land Cruiser, and, in terms of suspension, that may be true. But it’s important to remember the LX450 also offered a crucial Land Cruiser option: locking front and rear differentials. Find one with this feature, and you can do anything the Land Cruiser guys can do. In later years, the Lexus LX became more differentiated from the Land Cruiser. In 1996 and 1997, it was just the price: the LX carried a $7,000 premium from new. 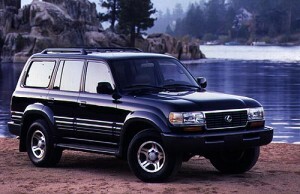 These days, they cost the same, which is why I’m reminding all Land Cruiser shoppers not to forget the LX450. I think we’d all agree that Plays With Cars doesn’t devote enough attention to staid, quiet Japanese luxury sedans. So I’ve decided at this moment to change that fact with a piece about everyone’s favorite full-size Japanese luxury car: the LS 600h L.
For those of you who don’t know the LS 600h L, allow me to explain. 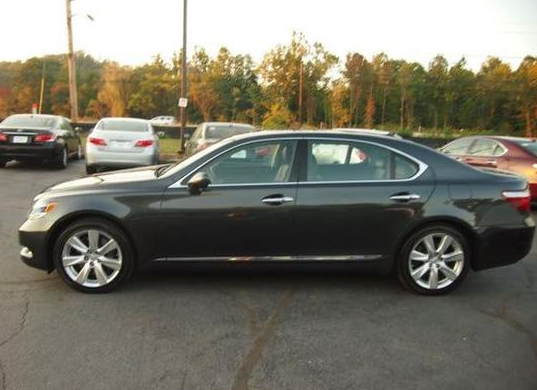 Take a normal LS 460, then stretch it (now you have an “LS 460 L”), then add a hybrid motor, and it becomes the LS 600h L. I’m not sure how they arrive at “600” considering it’s a 5.0-liter motor, but I do know it involves a lot of spaces in the model name. So why am I bringing this up? Obviously the LS space 600h space L is a heinously overpriced luxury sedan, considering it starts at something like $121,000. Who would buy that? The answer is: no one. And that’s why it’s a great used car. 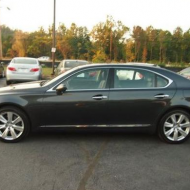 Go to AutoTrader.com right now and look for used L S 60 0h Ls. Even though they use a hybrid V8, they follow the same depreciation curve as V12-powered Mercedes S-Class and BMW 7-Series models. 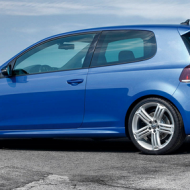 The result is that you can pick up a 2008 model – that’s still the current body style – for something like $45,000. Some high-mileage ones are in the thirties. Not only is that a good price, the car isn’t so bad either: it’s got 440 horsepower, you can lie down in the back seat, and the EPA says it gets 20 mpg combined and up to 23 mpg highway. By comparison, the S600 gets 19 mpg highway and only 14 mpg combined although, to be fair, you can still lie down in the back seat. The result: if you wanted a luxury car, you could get a new 3-Series. Or you could be just like your favorite environmentally conscious hotel and buy a five-year-old L S 6 0 0 h L.
Yeah, I’d pick the BMW, too. I know, I know: this one isn’t exactly off-the radar. But I realized something about the Focus SVT the other day: it’s really cool. For starters, some background. We all know the first-generation Ford Focus, because it came out in 2000 and lasted for like a decade, as if it was a Mercedes SL-Class. Well it wasn’t an SL-Class, and anyone who drove one knew that. But the SVT was kind of cool. 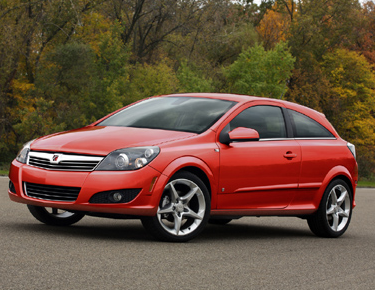 Here’s the deal on the SVT Focus: it came out for the 2002 model, initially as a 3-door hatchback. 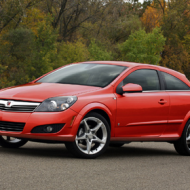 In 2003, a 5-door SVT model was added. And 2004 was the final year, which means these things aren’t really that common. 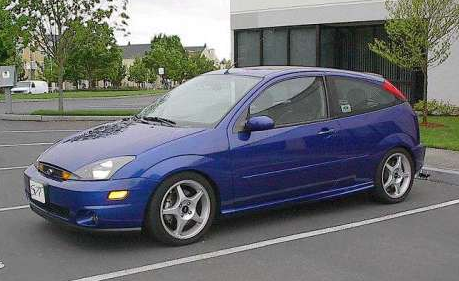 In a world of hot hatches, the SVT Focus was pretty cool. Power wasn’t exceptional, at just 170 horses, though I’m sure people all over the rural South are putting down “two fifty to thuh whuls.” But it was the manual-only transmission, the sweet (and very subtle) bodykit, the unique wheels, and that gorgeous blue color that made the SVT Focus really stand out. The fact that you could get it in five-door was icing on the cake. 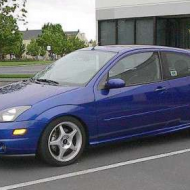 You never see the SVT Focus anymore, likely a result of the fact that a) it was unreliable; b) it was pretty rare, even when new; or c) you don’t spend enough time at rural dragstrips. But they’re out there, somewhere, a reminder of a rare bright spot during one of Ford’s darker periods. Some might even be that gorgeous blue color.